Nicaragua annually observes Armed Forces Day (Army Day) on May 27. This is a public holiday. Nicaragua became an independent country in 1838 and started formation of its own armed forces, that could protect the state from foreign invasions. The National Army of Nicaragua received its modern name only in 1995, when the armed forces were turned to a professional army. 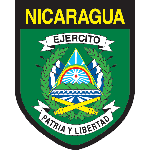 The Nicaraguan army took place in numerous military campaigns. It resisted the rule of William Walker from 1855 to 1857, invasions of Costa Rica in 1948 and the Dominican Republic in 1958. The army was involved in the boundary dispute with Honduras in 1957, fought the Sandinista National Liberation Front from 1962 to 1979 and took part in military campaign in Iraq in 2003-2004. As of 2011, the total count of armed forces personnel was 12,000 people. About 10,000 were serving in the Army, 1.2 thousand in the Air Force and 800 in the Navy. Gradual reduction of armed forces personnel began in 1990 under the military reform.